There are 6 Memory Care Facilities in the Dunnellon area, with 2 in Dunnellon and 4 nearby. The average cost of memory care in Dunnellon is $2,200 per month. This is lower than the national median of $4,650. Cheaper nearby regions include Belleview with an average starting cost of $1,950. To help you with your search, browse the 12 reviews below for memory care facilities in Dunnellon. On average, consumers rate memory care in Dunnellon 5.0 out of 5 stars. Caring.com has helped thousands of families find high-quality senior care. To speak with one of our Family Advisors about memory care options and costs in Dunnellon, call (855) 863-8283. Located in Marion County near Gainesville and Tampa, Dunnellon has 616 senior citizens and a total population of 1,733. Due to the high concentration of older adults, Florida has the second-highest prevalence of Alzheimer's disease in the nation, so it's not hard to estimate that Marion County could have as many as 13,293 seniors living with memory impairments. These people often require daily assistance from highly trained staff, which is why memory care facilities are required to secure an Extended Congregate Care (ECC) license from the Florida Agency for Health Care Administration. This division establishes and enforces regulations for the care of patients in ECCs and assisted living residences. Five memory care facilities are located in Dunnellon and the nearby communities of Ocala and Lecanto. Dunnellon receives 53 inches of rain annually, which is 14 inches more than the U.S. average of 39. It never snows, and the sun shines brightly 237 days of the year. High temperatures for July top out at 91, and winter lows rarely drop below 40. Overall, Dunnellon scored a 73 out of 100 on the Sperling's Comfort Index compared to the U.S. average of 54. The air quality in Dunnellon is very good. The American Lung Association gave the surrounding county a B grade for the low level of ozone and particle pollution. Because pollution can affect the respiratory and cardiovascular system, seniors may benefit from Dunnellon's clean air. Florida has no state income tax, and seniors qualify for other tax breaks. Compared to most states, families and elderly relatives in Florida can keep more of their retirement benefits and personal income, which can be set aside for continued care as needed. The violent crime rate in Dunnellon is slightly higher than the national average, and the property crime rate is slightly lower. Although the community is generally safe, memory care facilities use an assortment of security measures to protect residents and to secure the premises. Memory Care costs in Dunnellon start around $2,200 per month on average, while the nationwide average cost of memory care is $4,799 per month. It’s important to note that memory care rates in Dunnellon and the surrounding suburbs can vary widely based on factors such as location, the level of care needed, apartment size and the types of amenities offered at each community. Dunnellon and the surrounding area are home to numerous government agencies and non-profit organizations offering help for seniors searching for or currently residing in an assisted living community. These organizations can also provide assistance in a number of other eldercare services such as geriatric care management, elder law advice, estate planning, finding home care and health and wellness programs. To see a list of free memory care resources in Dunnellon, please visit our Assisted Living in Florida page. 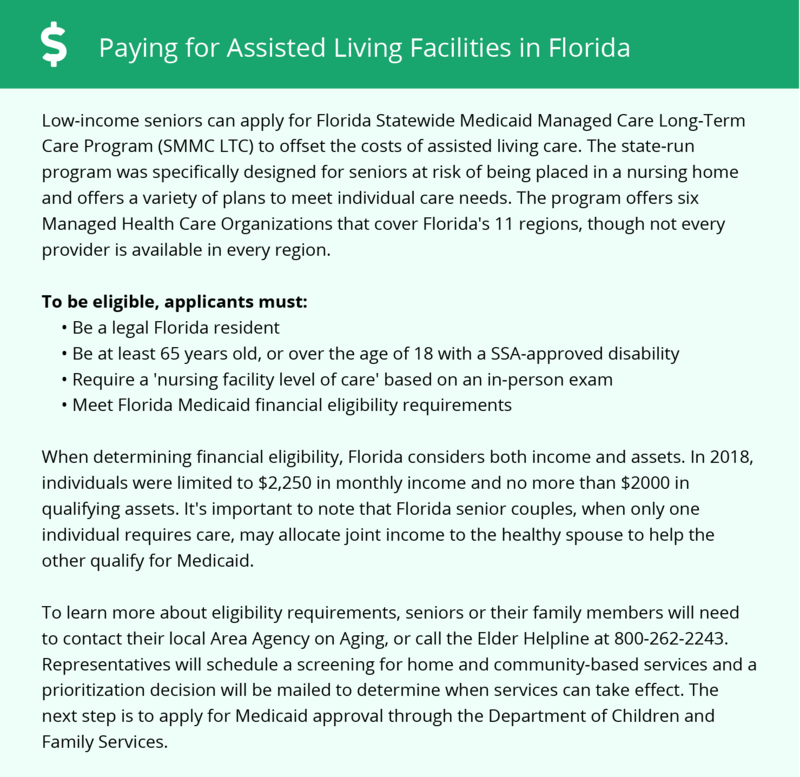 Dunnellon-area assisted living communities must adhere to the comprehensive set of state laws and regulations that all assisted living communities in Florida are required to follow. Visit our Memory Care in Florida page for more information about these laws.